100 Pairs Per Case. Please specify sock design. Snowman design is currently out of stock. Spread holiday cheer throughout your nursery with our Holiday Emblem Socks! 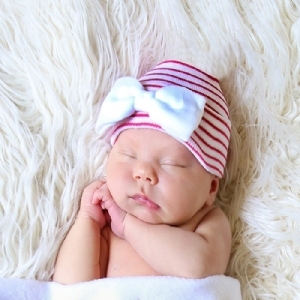 These specialty newborn booties come with your choice of Candy Canes, Gingerbread Men, or Snowmen. 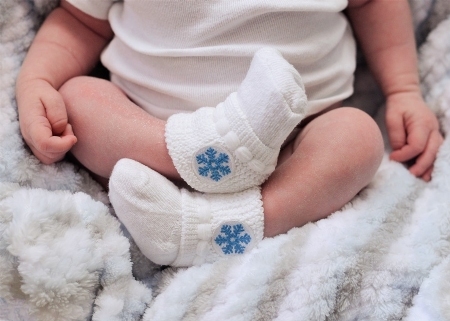 These novelty socks make great keepsakes for new parents and are perfect for Mother & Baby Kits. 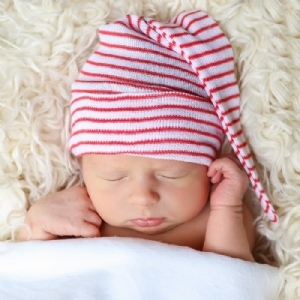 Socks are soft, comfortable, and made with cotton to keep babies' feet warm during the holiday season. Choose from several colorful sock options!